We waited until the rain stopped and hiked almost 9kms of moss and granite near Digby, Nova Scotia within the Acacia Valley Hiking Trails. We go down mill road and the trailhead is at the end of the road. You have the established trail along the Acacia river on the right (the car is facing uphill) and the newly established extension trail on the left. Doing both trails will total almost 9km of hiking along moss & granite. 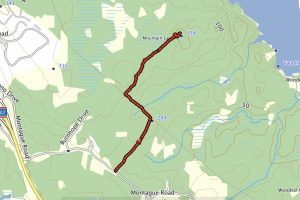 Now some GPS tracks might show a loop but being not familiar with the trail and the crown land that surrounds it. It ended up being an out & back. Mind you that ATV trail and old roads do pepper the trail, so there seems to be always another way to get back to your car. But I just followed the trail markers. That’s one thing I like about this trail; it was marked very well, even if it was mostly trail tape. The path in the extension was clearly defined. The elevation was minor, only a short section of the extension trail had some elevation. What mattered is having good footwear as some of the moss sections were wet. 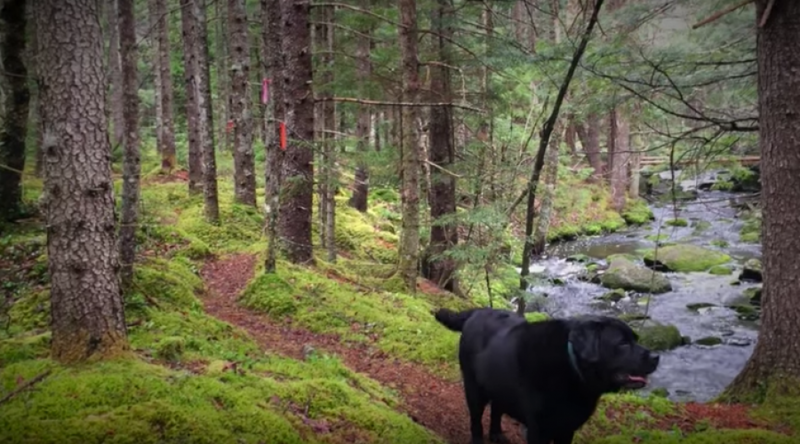 For a trail system being so close to the main exit to Digby, this was a nice hike on unique terrain.